Spring is upon us here in Washington DC, so what type of activities can you enjoy? 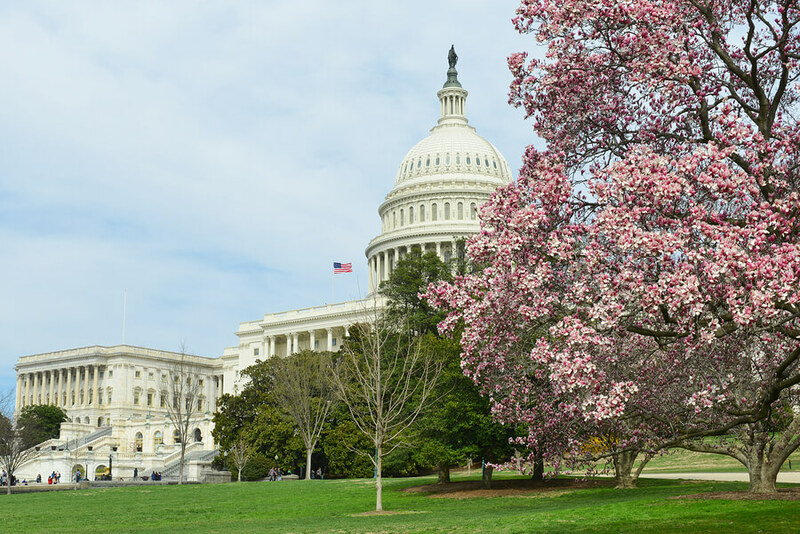 There are an endless number of things to do in Washington DC, and with the weather starting to improve, we thought we would take a look at some of the activities that residents and tourists will be enjoying around the city this spring. If you have any questions, you can leave us a message where we would be happy to provide you with all the information that you require. Our bus packages will give you plenty of options for getting around the city, and you can find them here. One of the first things to do as soon as the sun hits in spring is to take a stroll along the Tidal Basin. During full bloom, the Tidal Basin has arguably more cherry blossoms than anywhere else and even after peak times, the area remains one of the most scenic spots in the whole city. Sunrise is an excellent time to visit, so be sure to pack a picnic and a camera. It’s the perfect place to relax on a warm day. Next up, we have the Union Market. We chose the Union Market as it is one of our favorite places to eat due to the range of local delicacies with plenty of free samples to enjoy. In addition to local delicacies, there are also plenty of things to try from all over the world. Check out the Cotton & Reed distillery, Salt & Sundry and TaKorean for a good range of options to try. A lot of our readers will already have visited Mount Vernon, but if you are new in town or are visiting the area then we would highly recommend visiting this historical landmark. Our buses can take you there and our full day tour is the perfect way to spend a spring day in Washington. We take you on a route through Old Town, Alexandria and also visit the Arlington National Cemetery before visiting the famous home of George Washington himself. An essential visit for any Washington DC tourist. DC is arguably one of the most walkable cities in the US and our next visiting recommendation would be to take a walk through Capitol Hill. This is a stunning neighborhood especially in the spring and you can check out various areas such as the Eastern Market and Barracks Row. There are plenty of restaurants to stop off at and the US Capitol Visitors Center is definitely worth an hour or two.